The Intercom System we supply is extremely power efficient, and is widely acclaimed for its hands-free talkback function. 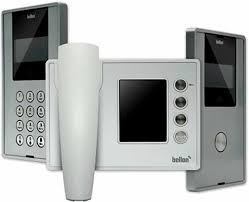 We are a noteworthy name when it comes to Intercom System that is the perfect outcome of premium material and advanced processing techniques. We give our patrons the choice to make payments online or offline. Our company understands the concerns of its customers. Therefore, we make sure our payment options are safe.